Originally posted by Tom Kalinski Founder RE/MAX of Boulder on Thursday, February 7th, 2019 at 1:40pm. Originally posted on BizWest. 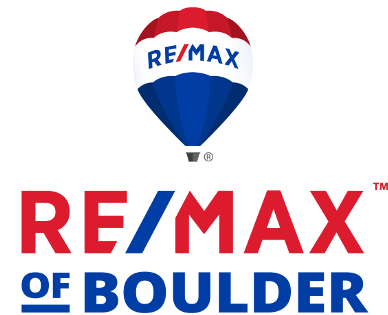 Jay Kalinski is broker/owner of Re/Max of Boulder. 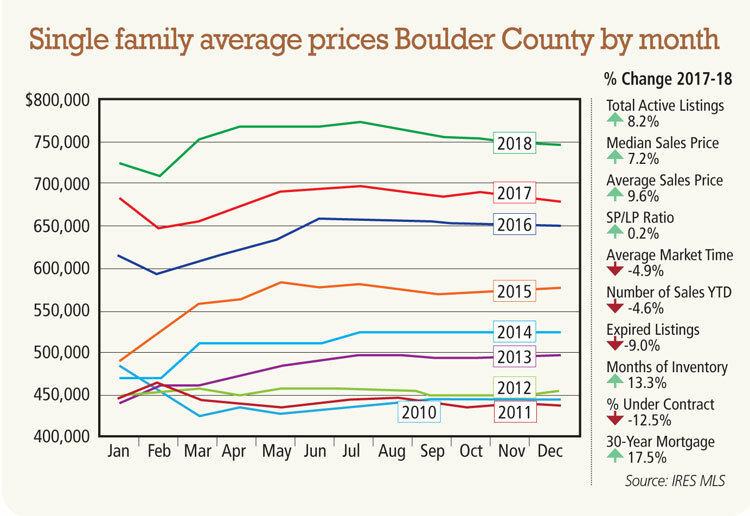 A tale of two markets emerged in November, as Boulder County’s single-family home sales skidded to a stop, while townhomes and condos took a significant leap forward. Single-family home sales in the Boulder-area markets dropped 14.4 percent in November compared to October —310 vs. 362 homes—while condominium and townhome sales rose 14.5 percent—126 units vs. 110. Yet when data for 2018’s first 11 months is considered, the two markets tracked closely together, and both appear to be slowing, according to Ken Hotard, senior vice president of public affairs for the Boulder Area Realtor® Association. “This is the first month single-family home sales fell below last year, and condos and townhomes are only slightly ahead,” Hotard explains. Year-to-date through November, sales of single-family homes decreased 1.4 percent compared to the prior year with 4,205 homes sold vs. 4,266. Attached home sales over the same period improved 3.3 percent – 1,445 vs. 1,399 units sold. Inventory decreased in both housing categories, though more significantly for single-family homes, which dropped 13.1 percent in November compared to October with 821 vs. 945 Boulder County homes for sale. Condo/townhome inventory fell 6.1 percent in November compared to the previous month with 263 units for sale vs. 280. He notes that single-family home sales could recover in December, but it’s not likely. “We have the ongoing headwinds of low inventory and rising prices. When we look back, we’ll see 2018 as market slowdown for housing in our market areas,” Hotard predicts. Despite the slow-down in housing, Colorado’s economy continues to show strength, wage growth is increasing, and gross domestic product is up, according to recent news reports. “What the Boulder-area needs is more housing that is desirable and more affordable for people,” adds Hotard. Originally posted here by Tom Kalinski Founder RE/MAX of Boulder on Thursday, January 3rd, 2019 at 10:13am. Boulder leads the nation for the most positive economic outlook, followed by two other Colorado cities in the top 10 — No. 3 Fort Collins and No. 9 Denver. According to the recent survey by Indeed.com, a positive economic outlook is driven largely by where you live more than by a national or political view of a national economy. Colorado is the only state with three cities in Indeed’s top 10. Smaller mountain-state metro area residents performed well when surveyed about the economy and their personal outlook. Tech hubs also fared well, such as the San Francisco Bay Area, Austin, and Raleigh. Personal finances – 81 percent of respondents rate their personal financial situation as excellent or good and say the same about local economic conditions. National economic view – 83 percent who rate national economics as excellent or good say the same about local economic conditions. The survey found that views of the national economic situation are also strongly influenced by politics, with 73 percent of Republicans and 43 percent of Democrats rating national economic conditions excellent or good. Local unemployment rate – Respondents in areas with lower unemployment rates have a more positive economic outlook. The outlook is likely driven by the view that a lower unemployment rate results in more job opportunities and bargaining power for workers, which should translate into faster wage growth. Higher local job growth – Job growth where you live means expanding opportunities and rising home prices. The majority of homeowners like this combined dynamic. Highly educated populations – For those who live in areas where a larger percentage of adults have a college degree – such as the Denver-metro area – there is a correlation with higher earnings and more spending power.  Originally posted here by Tom Kalinski Founder RE/MAX of Boulder on Tuesday, December 18th, 2018 at 10:18am.